In new builds of CAREWare users will be able to export and import custom reports between separate CAREWare domains. 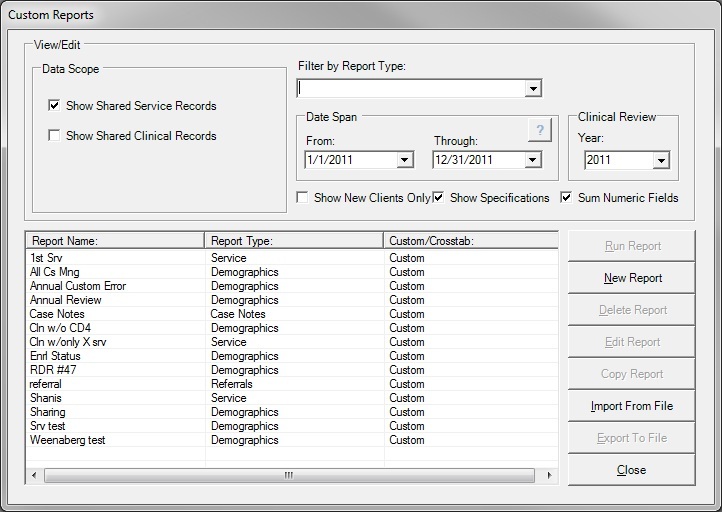 Users have been asking for this functionality for some time and now they will be able to create any custom report in CAREWare, export it and send it another user at a remote, unconnected CAREWare site, and that new user can import the custom report on their installation. The steps above will create an XML export file in the specefied location. You will then to browse to the location of that file and send it to the user requesting the custom report export. That user can use the following steps to import the XML file into their CAREWare instance.